West Antarctica is one of the most rapidly warming regions on Earth, and this warming is closely connected with global sea level rise. The documented changes on the West Antarctic Ice Sheet (WAIS) have challenged previous explanations of Antarctic climate change that focused on strengthening of circumpolar westerlies in response to the positive polarity trend in the Southern Annular Mode. West Antarctic warming does not yet have a comprehensive explanation. Dynamical mechanisms may vary from one season to the next, and they very likely involve complex teleconnections with subtropical and tropical latitudes. The prime motivation for the ARM West Antarctic Radiation Experiment (AWARE) was that there had been no substantial atmospheric science or climatological field work on the WAIS since work that started during the 1957 International Geophysical Year lasted for a few years. A few automatic weather stations provided direct meteorological information on the WAIS for several decades. And yet, satellite imagery and meteorological reanalyses indicate that West Antarctica is highly susceptible to advection of warm and moist maritime air, with related cloud cover, depending on the location and strength of low-pressure cells in the Amundsen, Ross, and Bellingshausen seas. There is a need to quantify the role of these changing air masses on the surface energy balance, including all surface energy components and cloud radiative forcing. More generally, global climate model simulations are known to perform poorly over the Antarctic and Southern oceans, and the marked scarcity of cloud information at southern high latitudes has so far inhibited significant progress. Beginning in late November 2015, a set of ARM Climate Research Facility equipment, including basic radiometric, surface energy balance, and upper air instrumentation, was deployed to the WAIS to make the first well-calibrated climatological suite of measurements seen in this extremely remote but globally critical region in more than 40 years. McMurdo Station, where the ARM Facility's most advanced cloud and aerosol instrumentation can be situated, has a meteorological relationship with the WAIS via circulation patterns in the Ross and Amundsen seas. 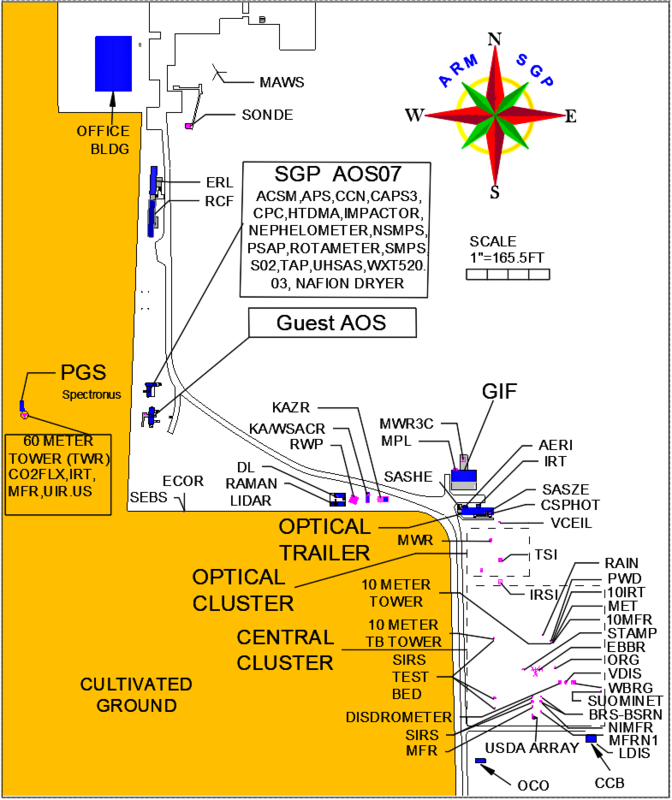 From McMurdo, the second ARM Mobile Facility (AMF2) gathered sophisticated data with cloud radars, high-spectral-resolution lidar, and a complete aerosol suite with relevance to the WAIS as well. AMF2 was deployed at McMurdo Station from January 2016 to January 2017 for a data set that covered 14 months in total from the two locations. The U.S. Department of Energy and the National Science Foundation, which manages the U.S. Antarctic Program, collaborated on AWARE. Scott R, J Nicolas, D Bromwich, J Norris, and D Lubin. 2019. "Meteorological Drivers and Large-Scale Climate Forcing of West Antarctic Surface Melt." Journal of Climate, 32(3), 10.1175/JCLI-D-18-0233.1. Wilson A, R Scott, M Cadeddu, V Ghate, and D Lubin. 2018. "Cloud Optical Properties Over West Antarctica From Shortwave Spectroradiometer Measurements During AWARE." Journal of Geophysical Research: Atmospheres, 123(17), 10.1029/2018JD028347. Silber I, J Verlinde, E Eloranta, and M Cadeddu. 2018. "Antarctic Cloud Macrophysical, Thermodynamic Phase, and Atmospheric Inversion Coupling Properties at McMurdo Station: I. Principal Data Processing and Climatology." Journal of Geophysical Research: Atmospheres, 123(11), 10.1029/2018JD028279. Liu J, J Dedrick, L Russell, G Senum, J Uin, C Kuang, S Springston, W Leaitch, A Aiken, and D Lubin. 2018. "High summertime aerosol organic functional group concentrations from marine and seabird sources at Ross Island, Antarctica, during AWARE." Atmospheric Chemistry and Physics, 18(12), 10.5194/acp-18-8571-2018. Russell LM, D Lubin, and J Liu. 2017. ARM West Antarctic Radiation Experiment (AWARE) Fourier Transform Infrared Filter Sampling Systems Field Campaign Report. Ed. by Robert Stafford, ARM Climate Research Facility. DOE/SC-ARM-17-026. Scott R, D Lubin, A Vogelmann, and S Kato. 2017. "West Antarctic Ice Sheet Cloud Cover and Surface Radiation Budget from NASA A-Train Satellites." Journal of Climate, 30(16), 10.1175/JCLI-D-16-0644.1. Mather J. 2017. 2016 Annual Report. Ed. by Robert Stafford, ARM Climate Research Facility. DOE/SC-ARM-16-056.